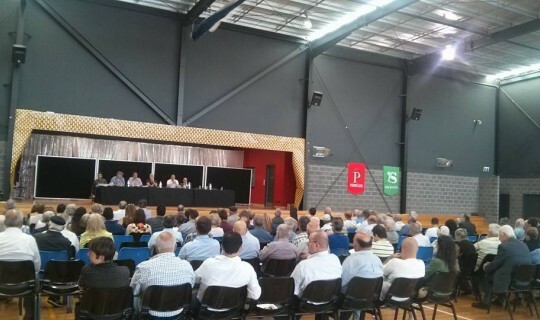 The Greek Community of Melbourne (GCM) will conduct its Annual General Meeting and a Special General Meeting on 29 April 2018. The AGM will be held at the “Andrianakos Centre” (Alphington Grammar School, Old Heidelberg Road Alphington) at 2:00pm and the SGM at 3.00pm. In order to participate in the AGM and the SGM, you must be a GCM member for a period of not less than 6 months. Notifications for the AGM and the SGM have already been sent to members by email or post, together with a copy of the Financial Report for the financial year 2016-2017. When: Sunday, 29 April 2018, AGM at 2:00pm and SGM at 3.00pm.